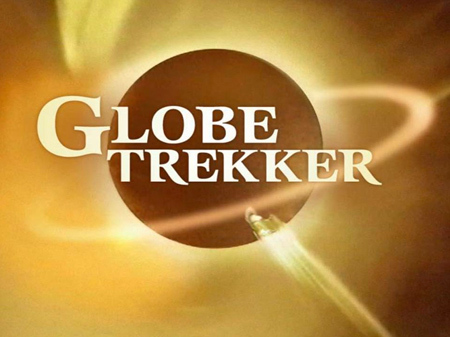 After filming for Globe Trekker on a hot & steamy February afternoon earlier this year, producers couldn’t give me a firm estimate about the release date. I guessed October… just about right. 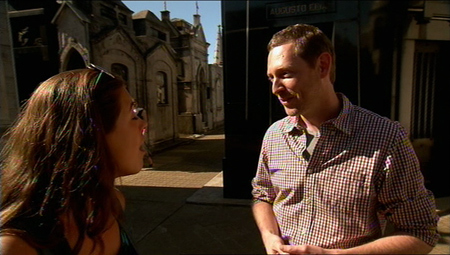 The Buenos Aires city guide episode aired in Europe at the end of October & at the beginning of November in the US. I liked that the segment focused on important figures other than Eva Perón. Obviously her life (& death) story draw many people to the cemetery. But after years of documenting & guiding there, it’s refreshing that Roca could share a little of the spotlight along with Firpo & Rufina. And that’s my patented Rufina casket lid slide move. No copying! Look for the episode on your local cable or PBS station! Or download the episode! I always new you would be famous. Some day we will see you on TV winning some big award.